If you have been putting off spring cleaning, don’t worry there is still time! 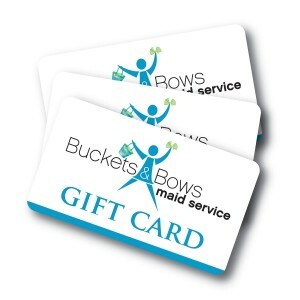 At Buckets & Bows we want to make spring cleaning as simple as possible for you. Here is a quick list full of tips on how to get your house looking spring time fresh and ready for summer. Dust – Get into the corners, up near the ceiling, around the vent over the stove, in the closets, and by the windows. Don’t forget any artwork or photos in the kitchen. Wipe – Clean the exteriors of the kitchen cabinets, clean the food and grease stains from around the stove, and wipe down the spice racks and shelves. Wash – Take down the curtains or drapes, and run them through the washing machine. Do a wet wipe of any blinds. Scrub – Use oven cleaner to get any stains off the interior of the oven and the stove top. Scrub the exterior of your appliances, and leave the stove knobs, spill-catcher, and burners clean. Sort – Get rid of anything expired in your fridge and pantry, and throw out rotten or expired food items. Dust – Clean cobwebs from around the ceiling, and dust behind the toilet to remove webs. Clean the dust from the vents. Wash – Wash the curtains, shower curtains, hand towels, wash cloths, and rags used for cleaning. Scrub – Use tile cleaner to remove stains, mold, and grime from the bathtub, toilet, sink, and tiles. Clean — Windex and newspapers will help you to get the shower stall and mirrors nice and clean, Ajax will help you to scrub out the toilet, and some detergent will clean your sink. Dust – Move the cabinets and furniture to dust behind them, and remove cobwebs from the corners of the room. Don’t forget to dust the art and photos on the wall. Wash – Set the curtains to wash, along with any place mats, table rags, dinner napkins, and tablecloths. Run all of your dinnerware through the dishwasher once. Wipe – Use a damp rag to wipe down the dining room table and chairs, as well as the shelves and cabinets in the room. Clean -Give the carpets a good beating, air out the rugs, and consider using carpet cleaner to give your dining room a face lift. Sweep and mop the floor beneath the rugs and carpets, and use wax if you have hardwood floors. Dust – Get underneath the bed, inside the closets, behind the night tables, on the ceilings, around the knickknacks, the pictures and photos, and clean the ceiling fan. Wash – Wash all of the curtains, bedding, sheets, pillowcases, and pajamas. Clean – Vacuum the carpets, and apply wax to any hardwood floors. Empty your closets and drawers to allow you to wipe down the shelves. Rearrange and reorganize your closet, getting rid of old clothes. Dust – Clean all art and photos, the ceiling fan, the TV, the game and bookshelves, between and under the couch cushions, and behind the furniture. Wash – Wash the couch covers, curtains, and drapes. Clean – Vacuum any carpets or rugs, wax hardwood floors, and sweep or vacuum the door mats. That’s all there is to it. While it may take a day or two to get all of this completed, it will be totally worth it in the end!